Nowadays, services represent the most important sector of global economy, both in terms of sector workers and value production. It is an extremely dynamic sector that ranges from commercial and cultural services to public transports, financial services, insurances and telecommunications. Furthermore, the society we live in has never been so varied and interconnected: everything is digitalised and supply varies according to customer feedback. Products change, services increase exponentially, customers become prosumers. We speak about collaborative and participatory services, a new shared way to design experiences and a new social way to share them. How to innovate within a sector, improve or propose a service taking into account its user experience, organisational sustainability, processes and internal resources? What does it change when reducing the gap between users and provides and we move from “transactional” services towards more “relational” interactions? How to fully take advantage of the digital channels and interactions taking place? How does the role of design change within this framework? 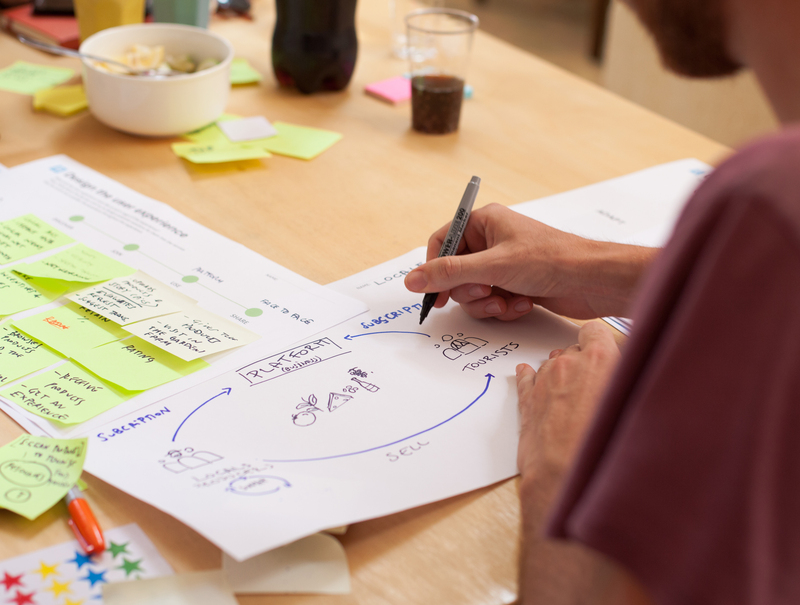 Relational Service Design is an eight-day course about the theory and practice of designing relational and collaborative services: it ranges from design thinking to real case studies. It helps to understand what it means to design efficient services and to learn by doing. To become familiar with the tools and the essential methods needed when designing relational services and experiences. To acquire empathic, creative and strategic techniques for making services more useful, usable and efficient. o develop an holistic view for the integrated design of the user experience, operations, flows and organizational responsibilities.